1850 Artisan has released the Chic Beach Weekend. A beautiful trio of neutral creams that will help you create a chic California casual look for your weekend getaways. Launch is Saturday, July 28th at 10:00 am Pacific / 1:00 pm Eastern. Pismo Beach is a cool neutral cream that is perfect for a clean, chic look as you walk down the boardwalk or search for shells. Marina del Rey is a clear, pale blue cream that is an excellent addition to a day by the sailboats in the Marina. 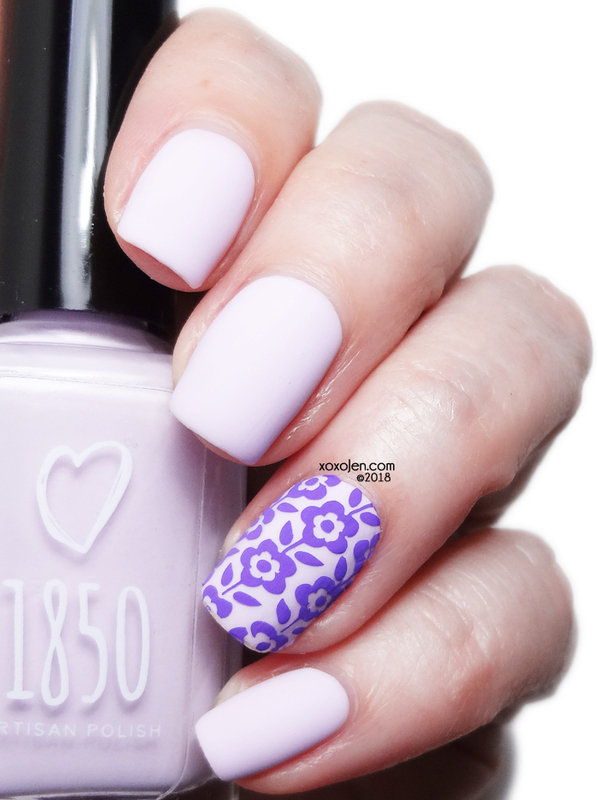 This pale lavender cream was inspired by a tiny shell found on Lover's Point Beach near Pacific Grove, CA. It is just the right color to accompany California casual beachwear. 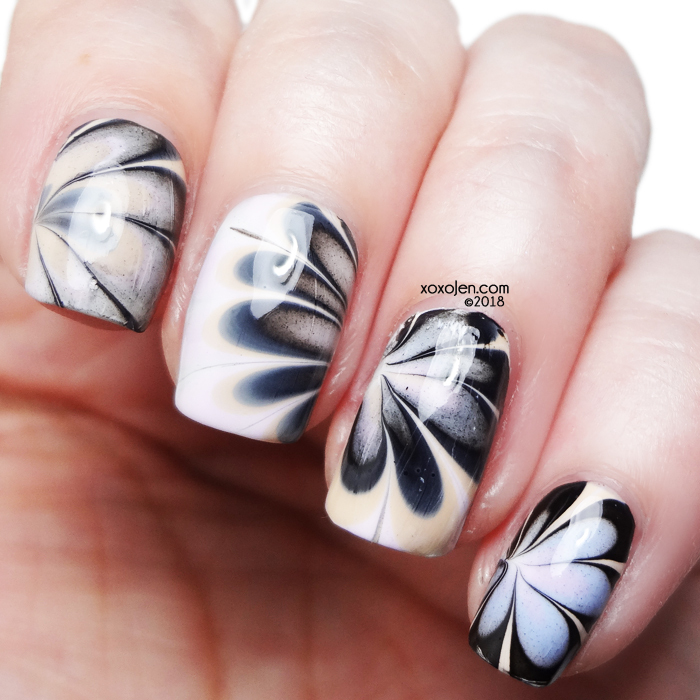 I cannot have a set of creams and not try to watermarble with them + Squid Ink, also from 1850 Artisan. I love how this turned out! 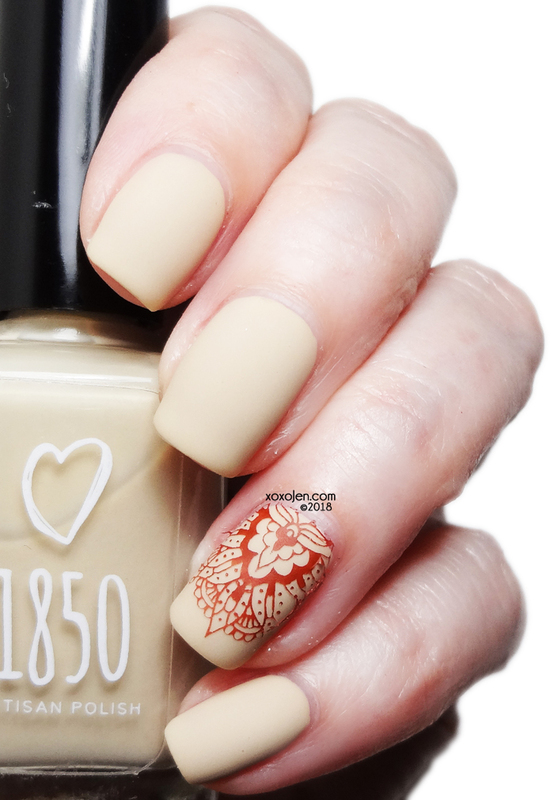 For each cream swatch I used two coats and all were opaque and applied like butter. For the matte look, I used kbshimmer Oh Matte! The trio is fabulous and if you don't have Squid Ink yet, you should definitely pick it up too!